2 day time signals packed in a water proof container, green dye easily visible from all aircrafts. 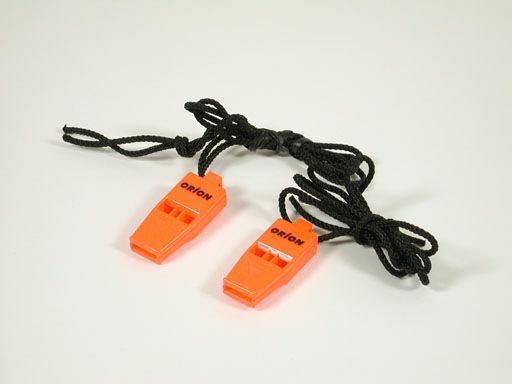 (2) strong whistles with lanyard in a display pack. 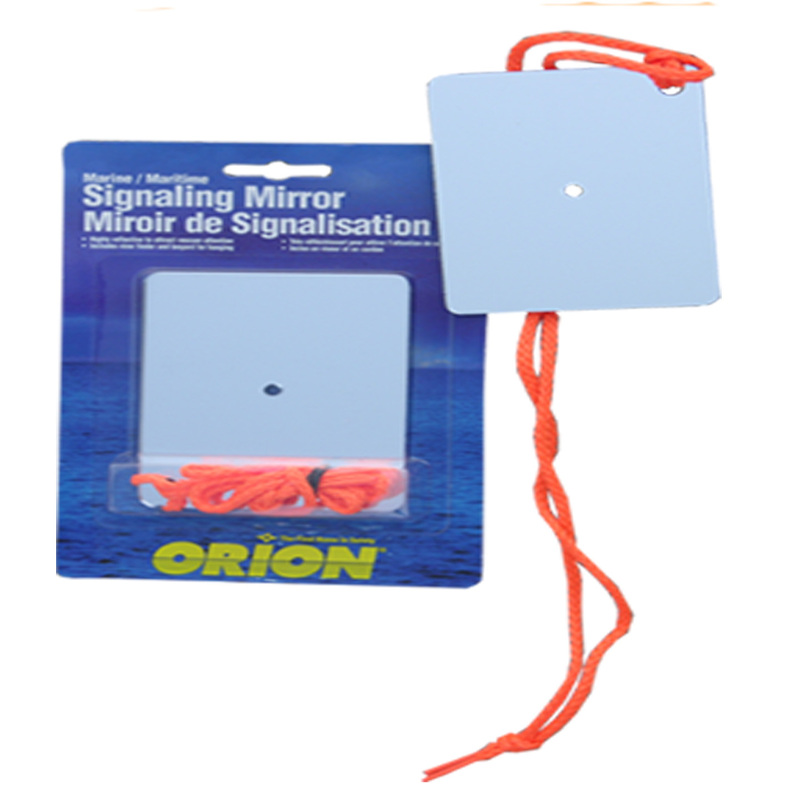 3x4" mirror with lanyard in a display package. 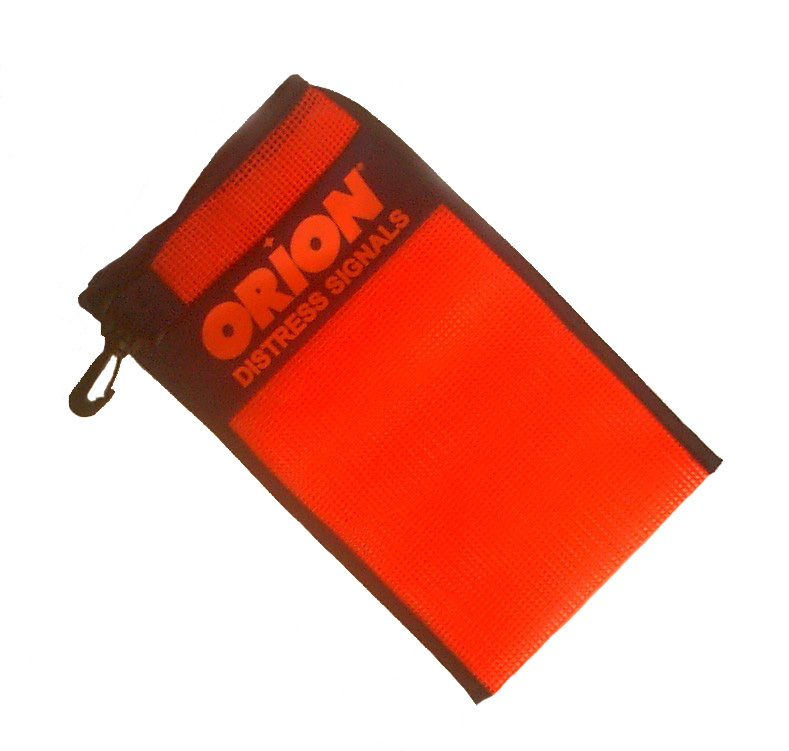 Small International orange mesh storage bag with zipper and clip. 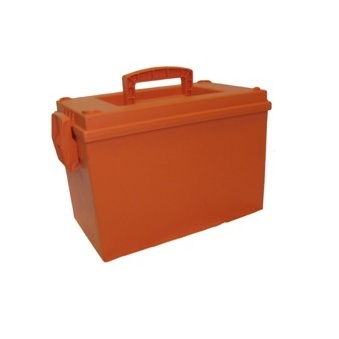 Large International orange mesh storage bag with zipper and clip. 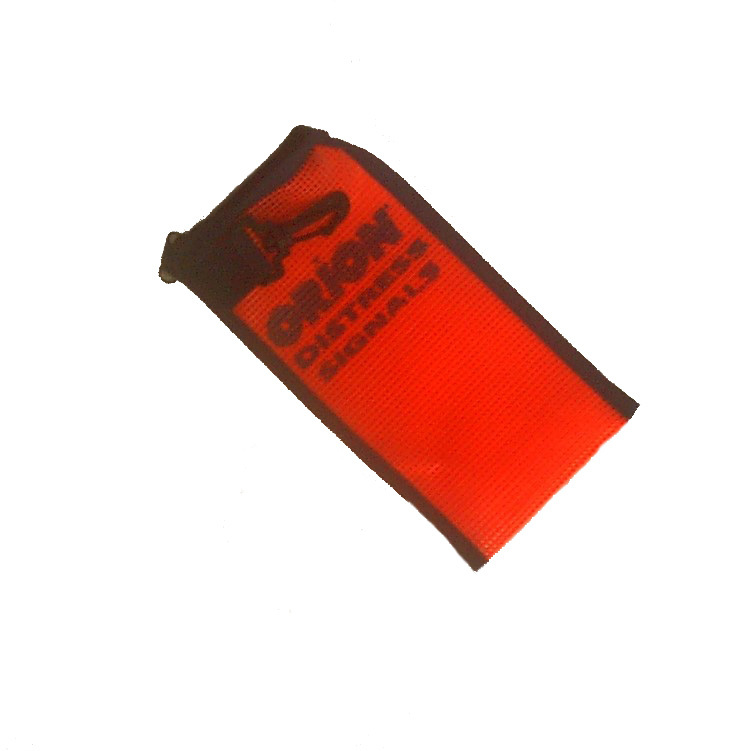 Orange distress flag, 3 square feet heavy duty vinyl, comes complete with 4-12" nylon ties for easy display, display packaged. 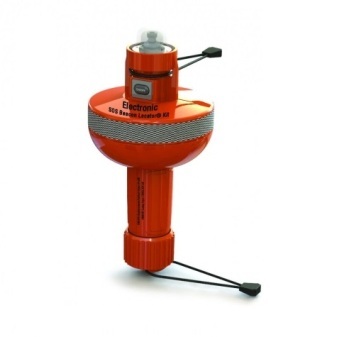 6" submersible flashlight (batteries included). 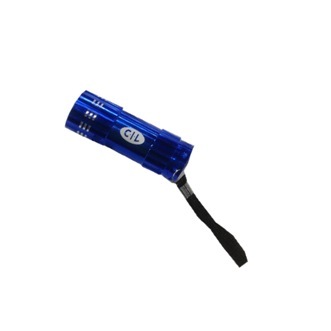 Chemical lightstick in a specially designed holder, provides 8 hour of bright green light. 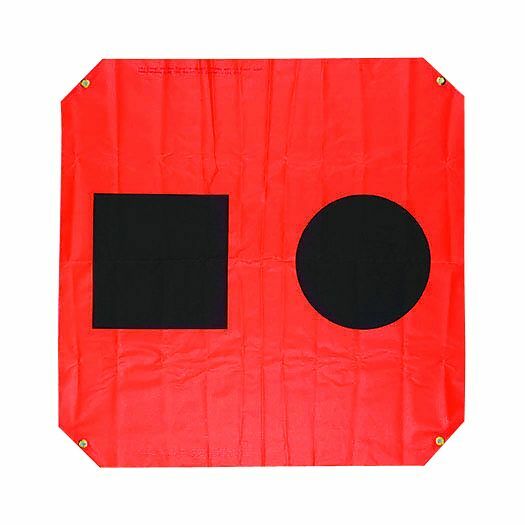 Affix to a life vest or jacket. Requires no maintenance. 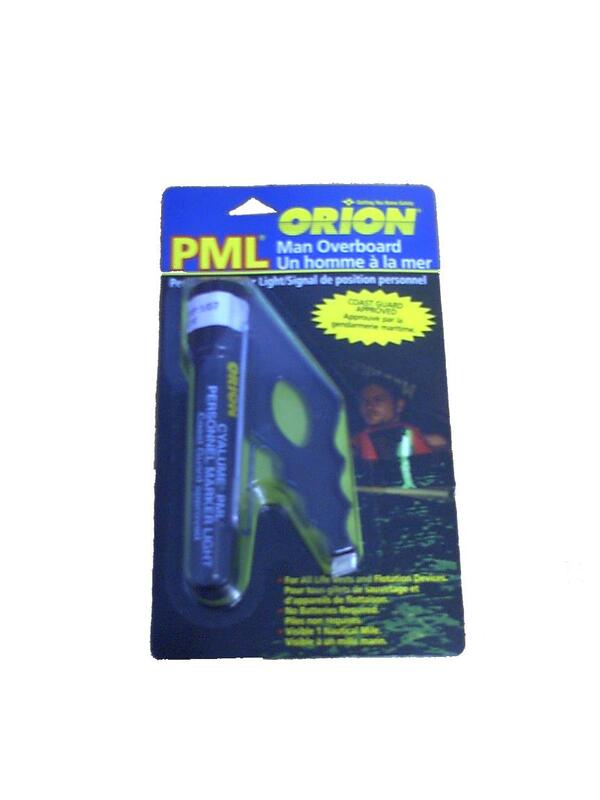 All purpose safety and signaling, high intensity xenon strobe, light that is great for boat or car. 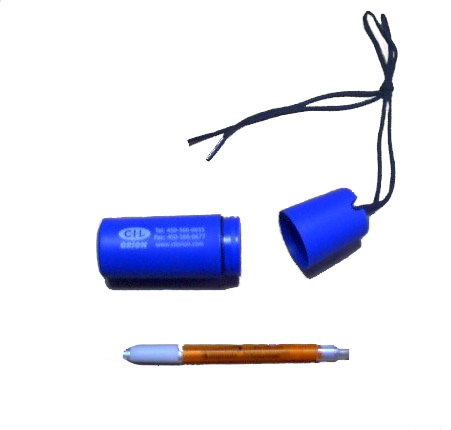 Operates over 4 hours with 2 AA batteries(not included). 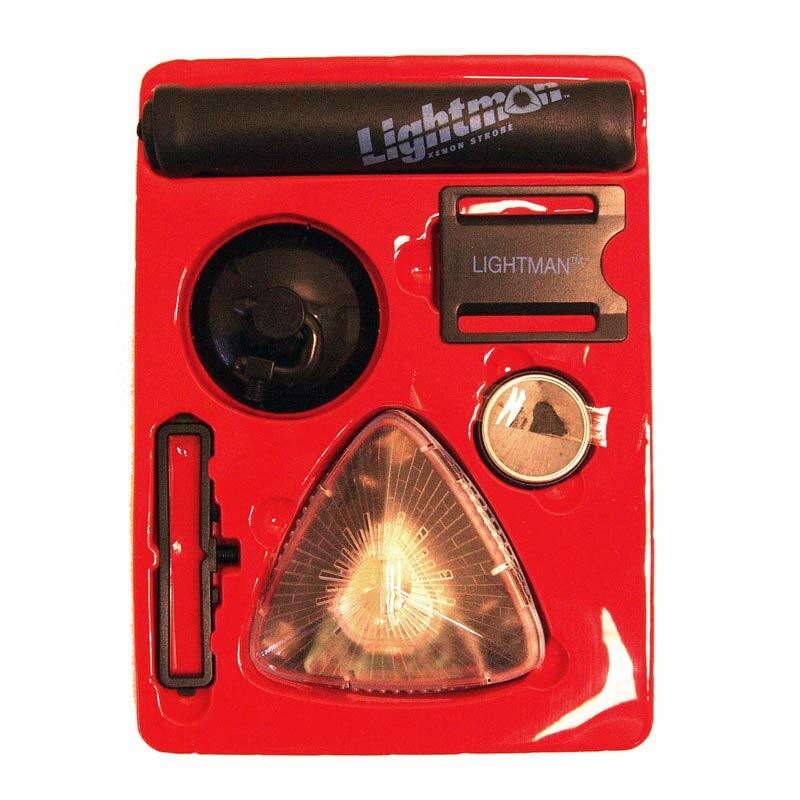 Pulsating high intensity led lights for high visibility. 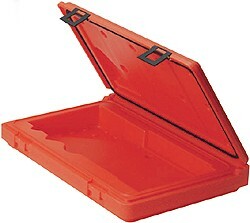 Water and impact resistant construction. 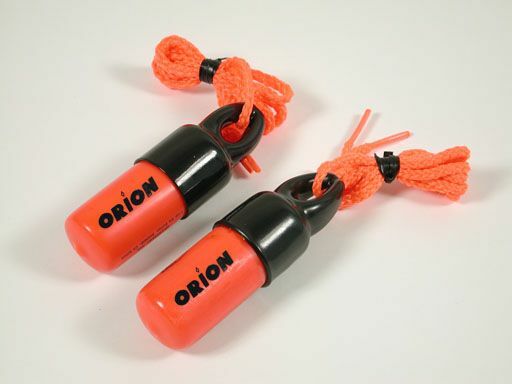 Includes magnetic suction cup, belt clip and eyelet for attaching almost everywhere. 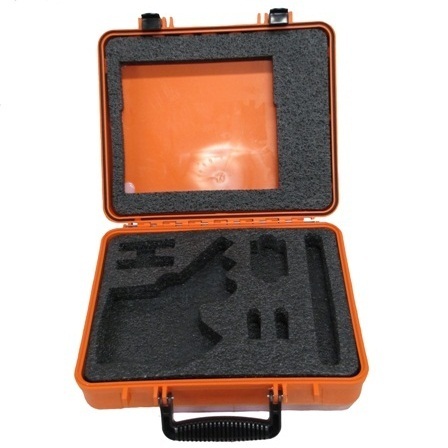 Push button operation. 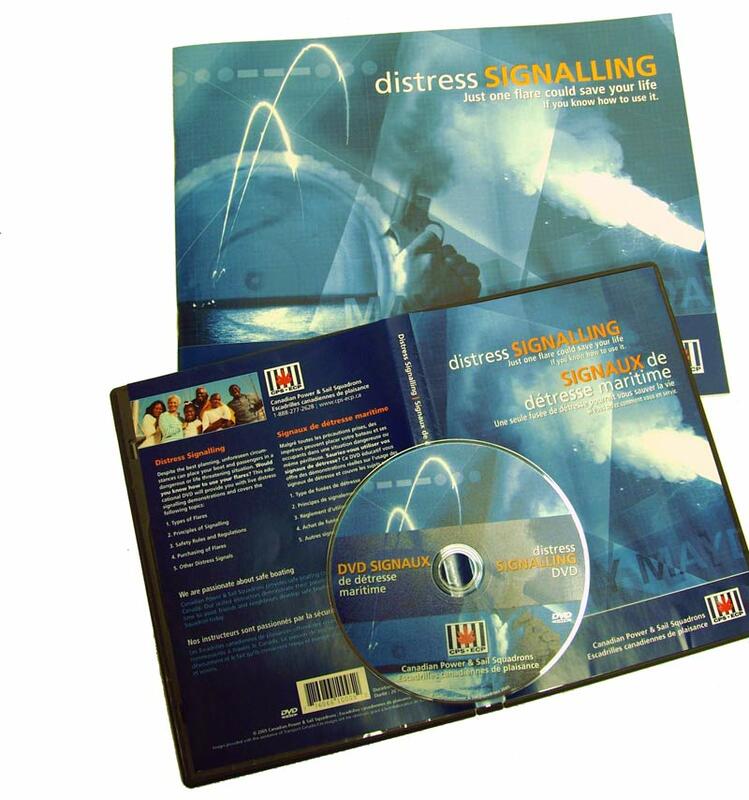 20 Minutes bilingual DVD (English and French) that covers the following topics: Type of flares, principles of signaling, safety rules and regulations, purchasing of flares, other distress signals. DVD made by the Canadian Power & Sail Squadron. 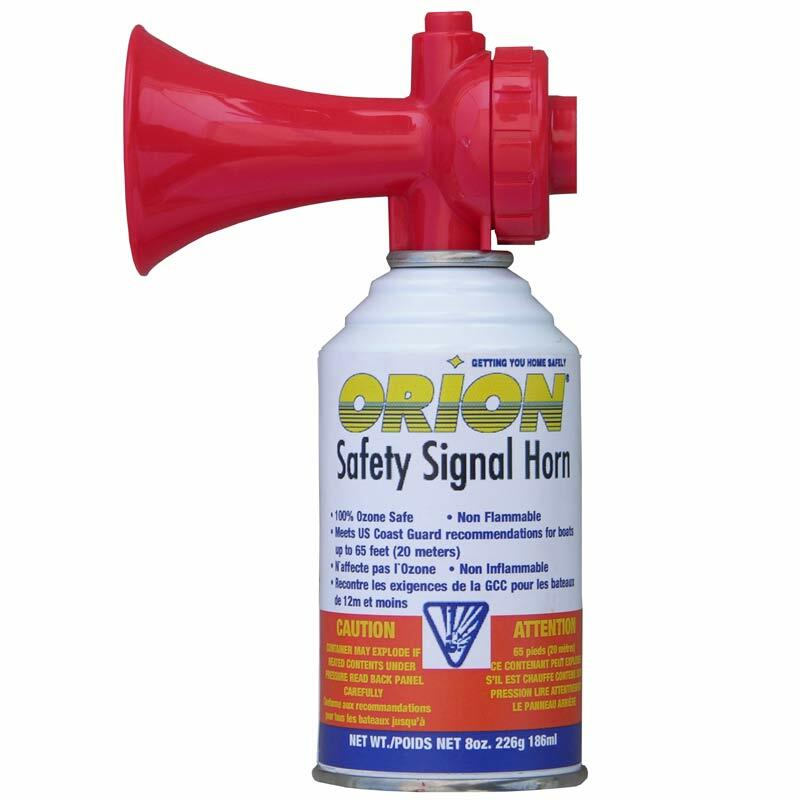 Heavy-duty plastic construction - waterproof - floats - oversized to add more signals.